Very shiny green hair-like foliage that turns reddish-purple tones in the spring and holds the darker color the rest of the year. 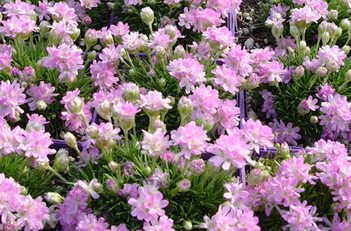 Excellent when planted in mass and used as a border plant or as an accent around other perennials. 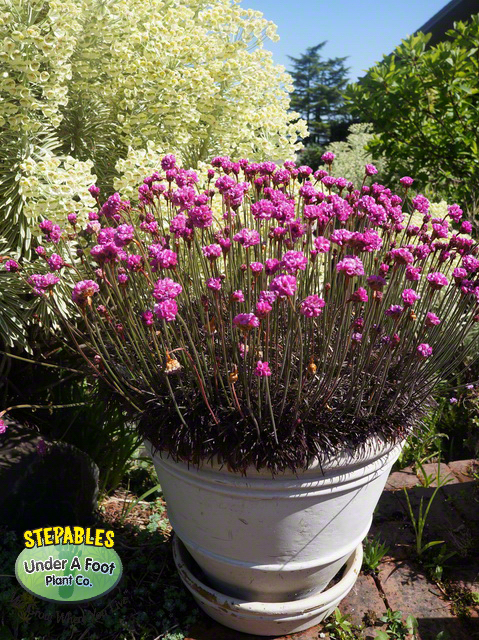 Deep, pink pom-pom flowers adorn in late spring, making this a charming container plant. 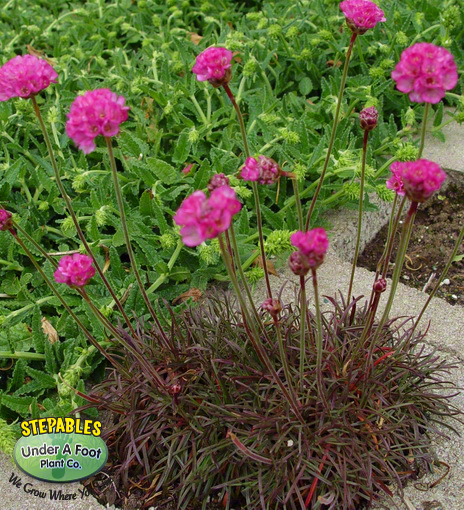 This Armeria has got terrific color! Put it in a blue pot and watch the color pop! 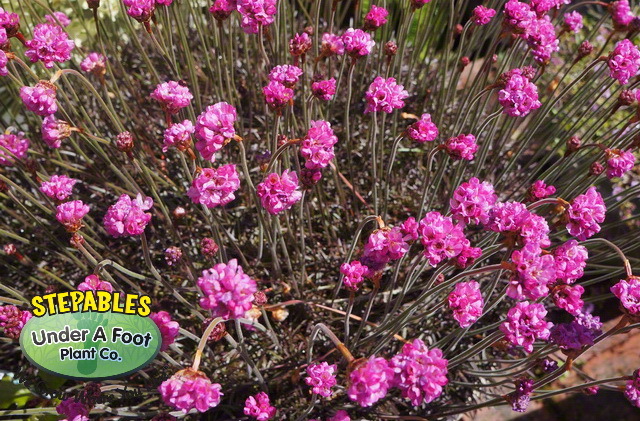 Then wait, bright pink flowers top it for a WOW look in your garden. 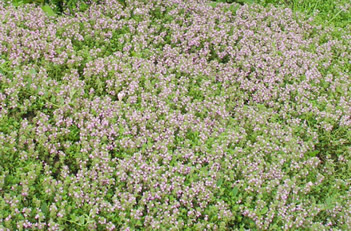 * ~This can be used as a beautiful lawn substitute as long as it is used for ornamental purposes, not functional, like croquet. * ~This plant can take paths, courtyards, patios and garden stairs with ease. However, it grows taller than many of our high foot traffic plants, so that should be something to look at as you are deciding. * ~This plant can be used in shay areas if enough light is given. It will be thin and spindly if not enough light is given.